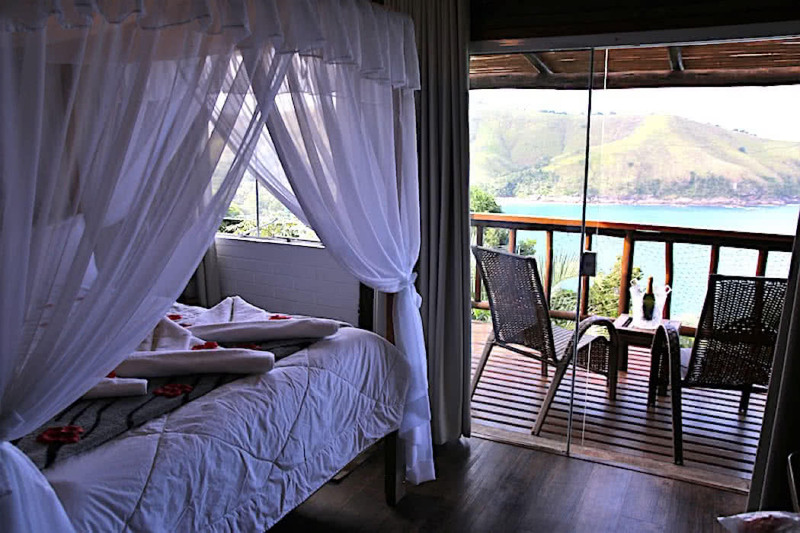 On São Paulo’s North Shore you’ll find one of the most romantic hotels in Brazil, the gorgeous, award winning, Ilha de Toque Toque Boutique Hotel & SPA. 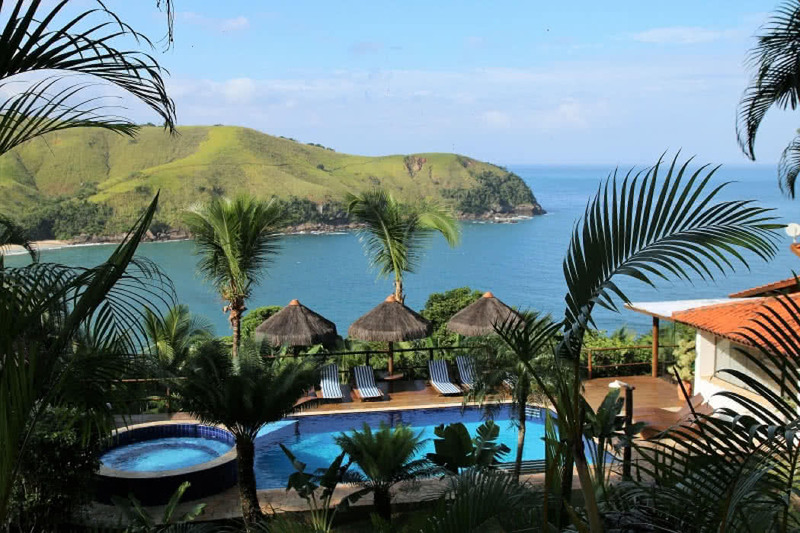 The exclusive hotel occupies a stunning beachfront location on the north coast of São Paulo in the São Sebastião region. 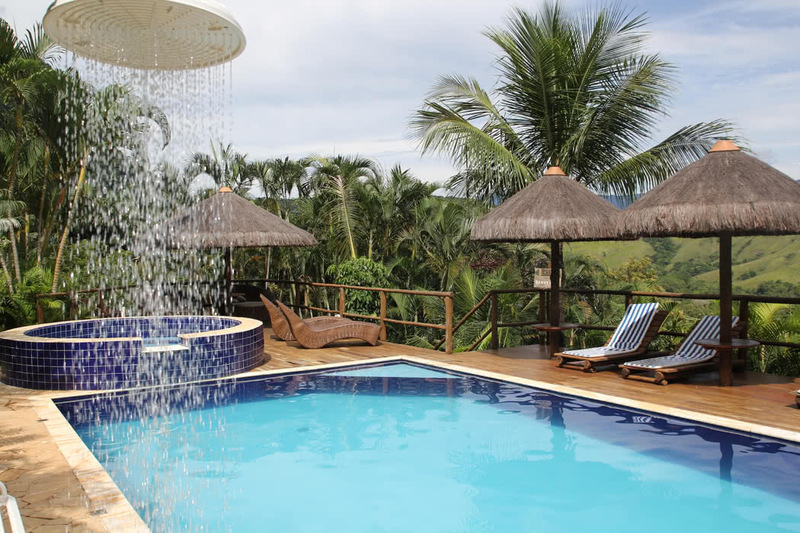 You are 50 meters above sea level, in the very heart of the Atlantic Forest. 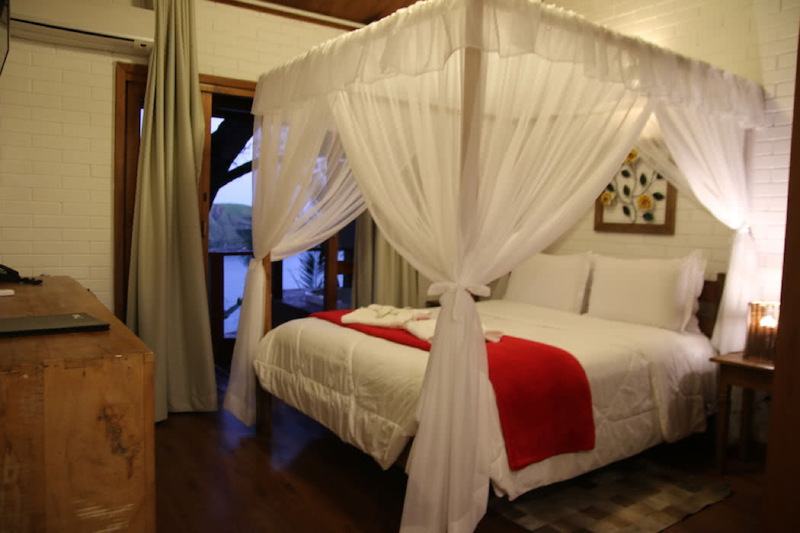 This is somewhere to come for a romantic getaway to immerse yourself in your lush green surroundings. Your neighbours are the huge variety of birds and local wildlife and your favourite view will undoubtedly be gazing out across the islands to the blue seas below. You are less than 2km from Toque Toque Grande beach and from the village of the same name. 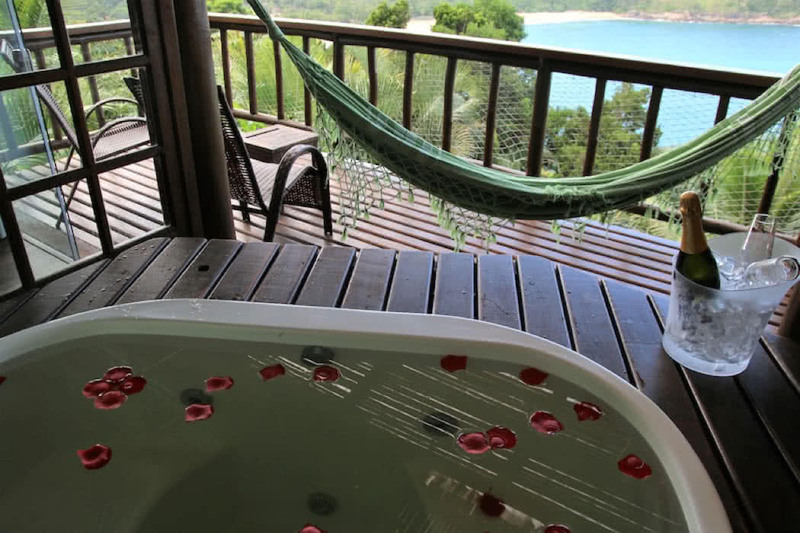 The romantic tag is a genuine one; the hotel was voted among the top 25 Brazilian Romantic Hotels by Tripadvisor Travelers. 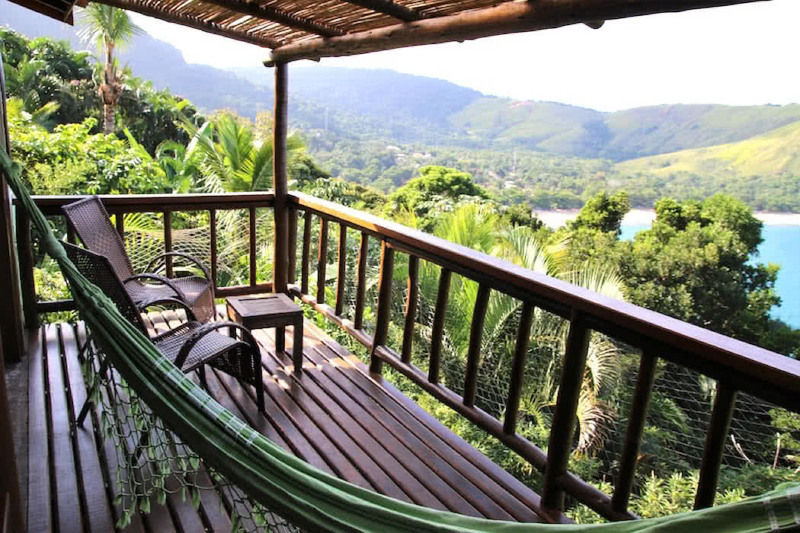 It spreads across 20,000 m2 of tranquil rainforest and the beach, jungle, mountains and nature that surround you form as much of the experience of staying here as the beautiful, rustic buildings do. Those buildings have been converted from an old farm with walkways linking the wooden structures creating a natural, eco-chic, barefoot-luxury vibe; perfect for the laid-back luxury traveller. 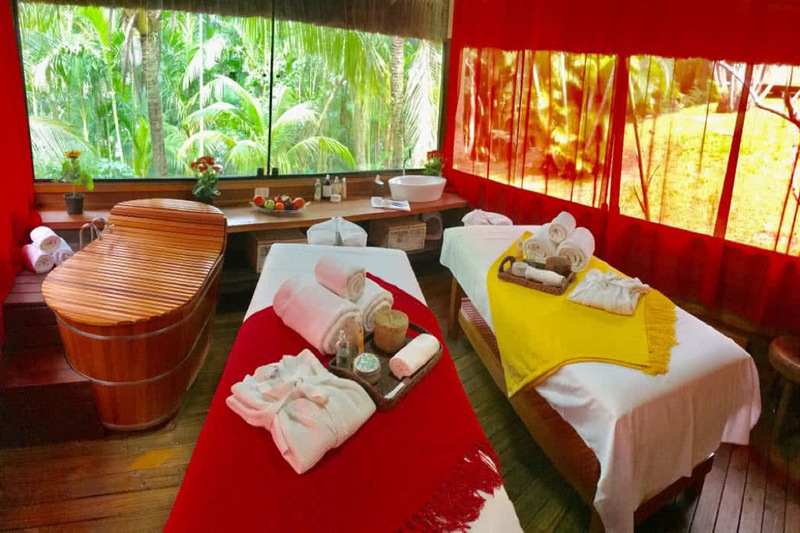 You’re on holiday so be sure to indulge with a treatment at the L’Occitane au Brésil signature spa then make use of its jacuzzi and heated sauna. Spend lazy days by the pool then stroll down to the private beach area for a gentle paddle boating trip together. There’s also a small fitness centre. The service is both personalised and very friendly; nothing is too much trouble. This boutique hotel offers just 14 uniquely decorated suites. Most have Japanese-style hot tubs out on the balcony though with the Master Suites, this upgrades to a plunge pool; the perfect spot from which to enjoy the sunset. The Master and Privé Suites overlook the serene tropical gardens while the VIP and Exclusive Suites enjoy breathtaking sea views. While the pool that comes with the Master Suite is very tempting, I’m always swayed by a sea view, so the Exclusive Suite, which also has a steam room, would be my top pick. A superb breakfast starts your day and hints at the gastronomic delights ahead. A generous selection of Brazilian breakfast treats including fresh fruit, juices, eggs, bread, sweet cakes, and fresh coffee is served al fresco. 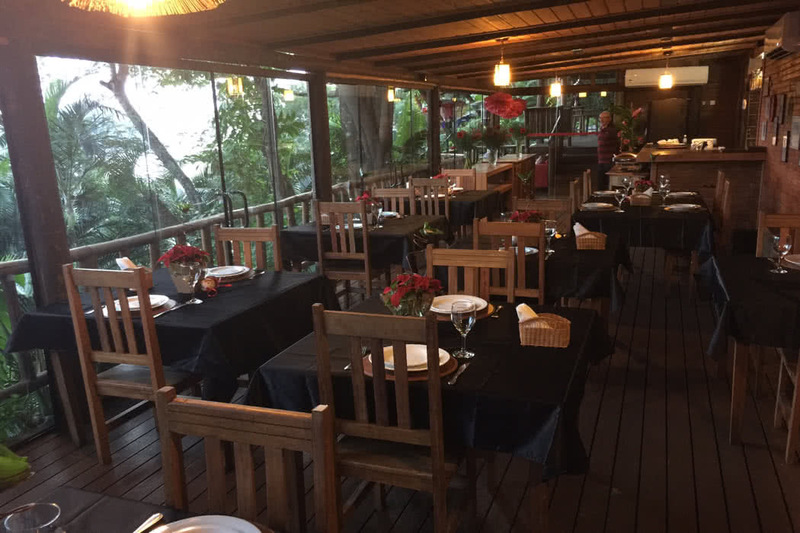 Lunches and dinners are equally delicious and may feature regional seafood, a Brazilian grill or Mediterranean dishes; all accompanied by a magnificent sea view and an impressive wine list.